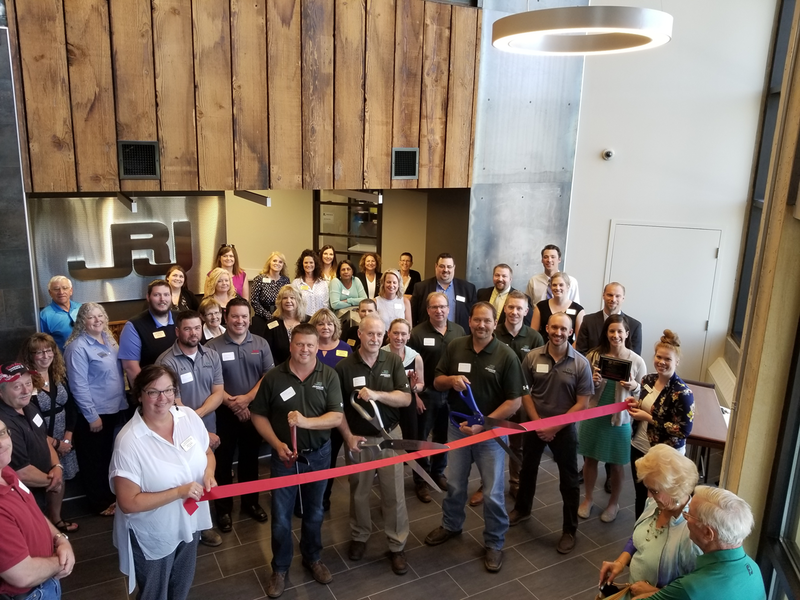 The Superior-Douglas County Area Chamber Ambassadors were joined by the Duluth Chamber of Commerce and the Hermantown Area Chamber of Commerce to celebrate JMR Financial Group's grand opening of their new location in Superior! JMR Financial Group works to increase their client's net worth through multi-faceted financial services. As a team, they create a plan to lead you to growth, profit, and success. Learn more at jmrfg.com. Congratulations JMR Financial Group! We wish you many more years of continued Success in Superior! Click to see more photos. 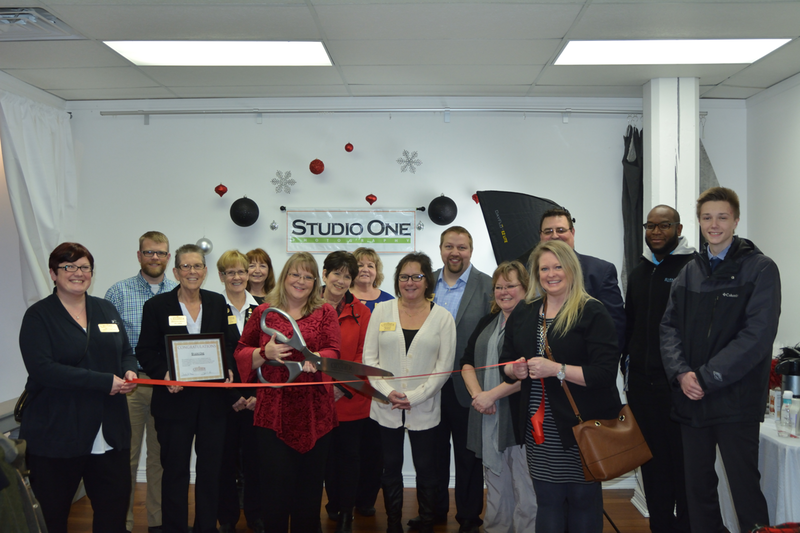 On Thursday, December 20th we joined Studio One Photography Superior, WI for an open house and ribbon cutting celebrating their move into their new space, 1228 Banks Avenue. 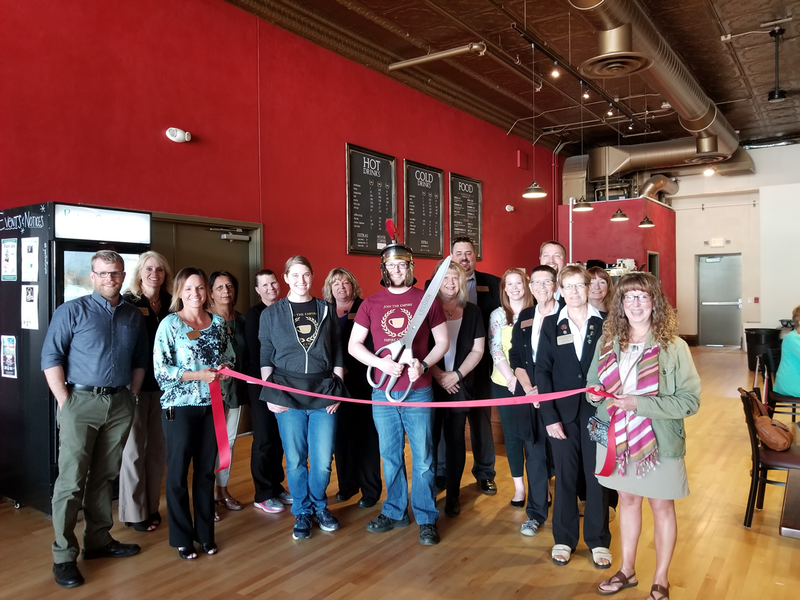 Studio One, which has been in operation for over 25 years, has prided itself in being housed in five historic locations across Superior, and their newest space is no different! 1228 Banks is the former Upper Lakes Foods and has in the past been a warehouse and shirt manufacturing shop! Congratulations Studio One on your beautiful new space. We wish you many more years of Continued success! 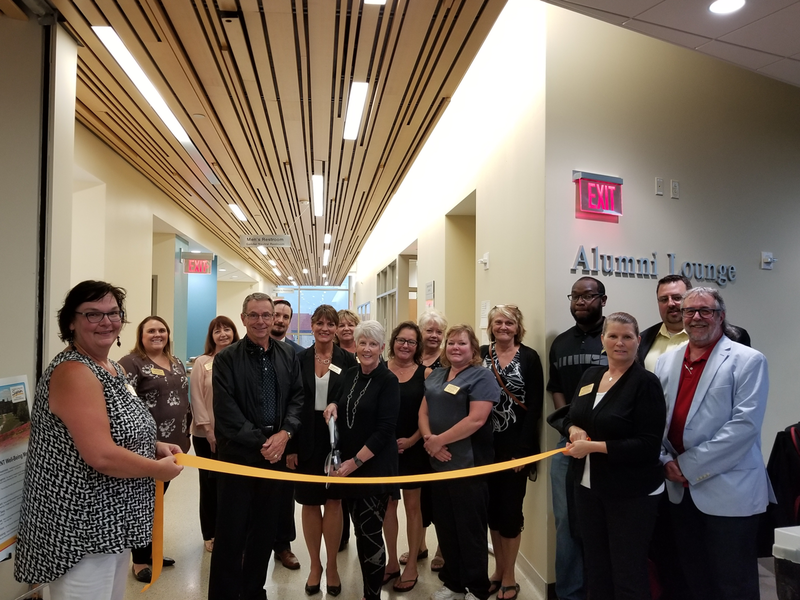 The Superior-Douglas County Chamber Ambassadors were honored to attend and participate in the dedication of the William "Pope" Wright Student Center at the University of Wisconsin Superior on Wednesday, November 28, 2018 with a ribbon cutting. William "Pope" Wright began teaching at UW-Superior in 1971, and was a member of the campus community for 44 years. He was also the first Black Student Union faculty advisor and Indian Student advisor on campus and the first African-American professor at the university. In 1983, he was named the director of the Minority Affairs Office, and was known for always finding time for students of all backgrounds and cultures. Wright is survived by his wife Sandra, who was a dedicated educator as well. The center, which will carry the name of William "Pope" Wright Student Center, will carry on his legacy for generations of students to come. See more photos by clicking here. Our Ambassadors joined the Richard I. Bong Veterans Historical Center and the Commemorative Airforce to celebrate the opening of a new rotating exhibit featuring items from the CA's collection. 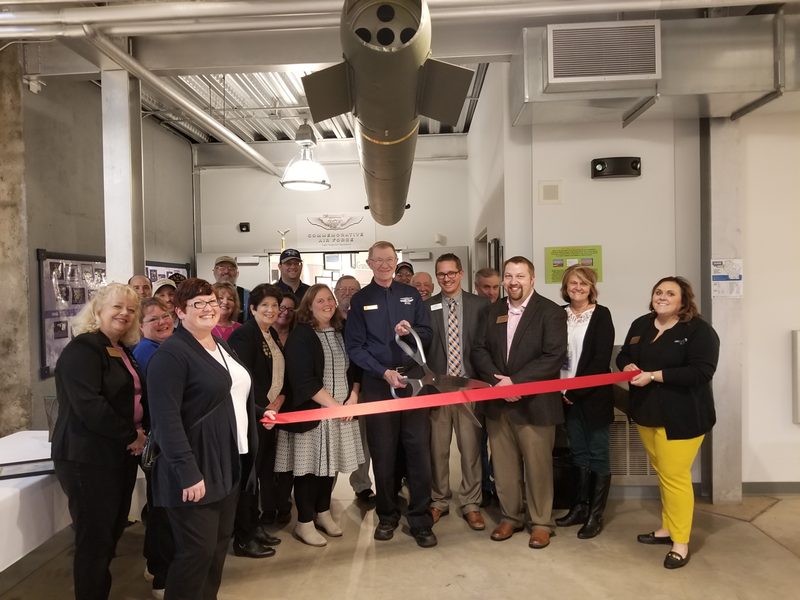 The Commemorative Airforce, who was in need of a space after amicably parting ways with the Duluth Airport Authority once their hanger became no longer usable, found a home for their museum for the next year as a rotating exhibit in the RIBHVC. the CA will eventually be housed at the Bong Memorial Airport in the old terminal building. Congratulations on this amazing partnership, and we wish both museums continued success! Click here to see more photos. 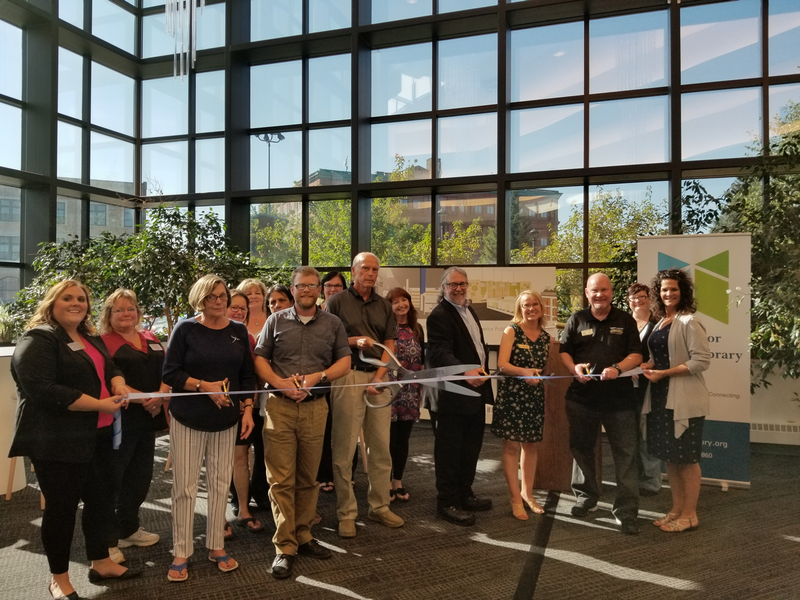 The Superior-Douglas County Area Chamber Ambassadors joined Essentia Health and the School District of Superior WI to celebrate the grand opening of the Essentia Spartan Wellness Center with a ribbon cutting on Tuesday, October 23, 2018. Located in the newly renovated Superior High School, the Essentia Wellness Center features 12 weight stations as well as cardio equipment that will be accessible to all students. 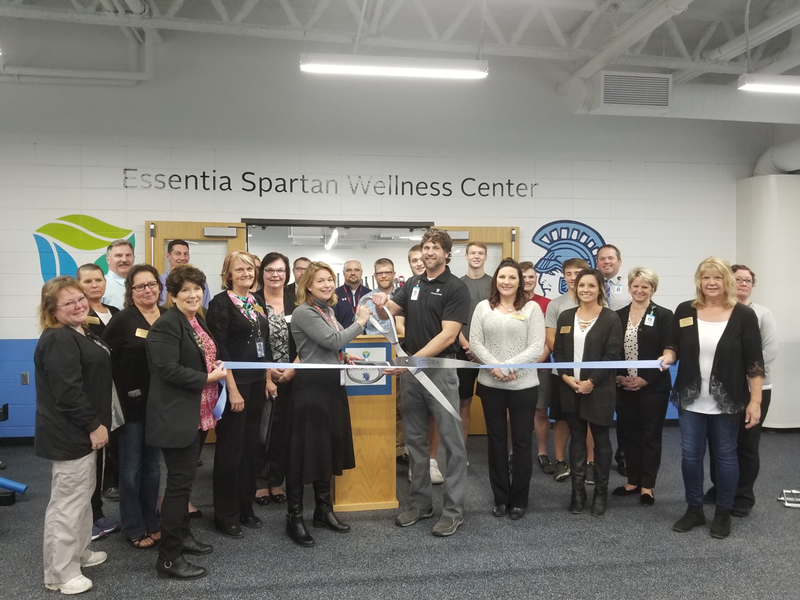 Essentia Health has been providing orthopedics and sports medicine services to the Superior Spartans for over 23 years and felt it was important to continue that partnership by helping make this wellness center a reality. Students from the Superior Football team were on hand to demonstrate for attendees how the equipment works. Congratulations Superior High School and Essentia Health for continuing to make the health and wellness of Superior students a priority for years to come! See more photos by clicking here. 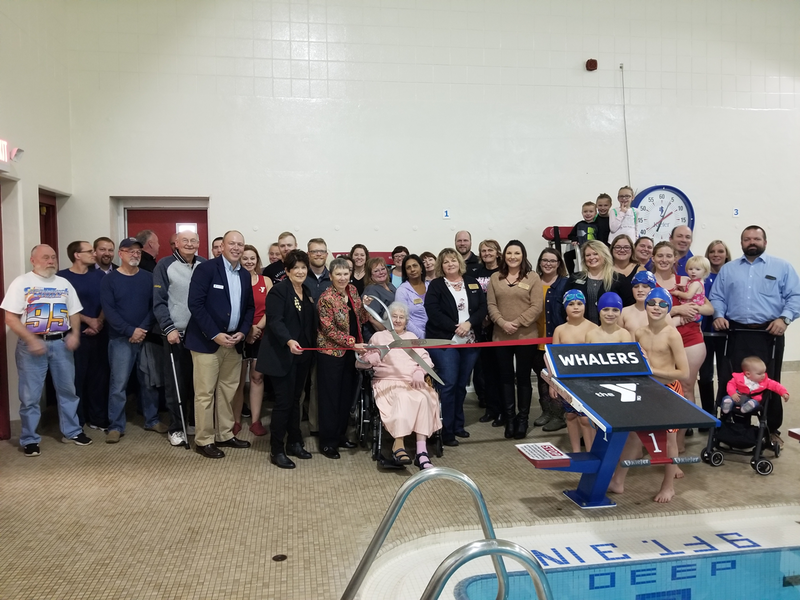 The Superior-Douglas County Area Chamber Ambassadors along with Mayor Jim Paine and State Representative Nick Milroy for a ribbon cutting at the Superior YMCA for the dedication of the newly remodeled Mark Frodesen Memorial Lap Pool. Mr. Frodesen donated nearly $250,000 to the Superior YMCA after being a member of the organization for over 30 years. In recognition of Mr. Frodesen's gift, the lap pool was named in his honor to continue his legacy of generosity. 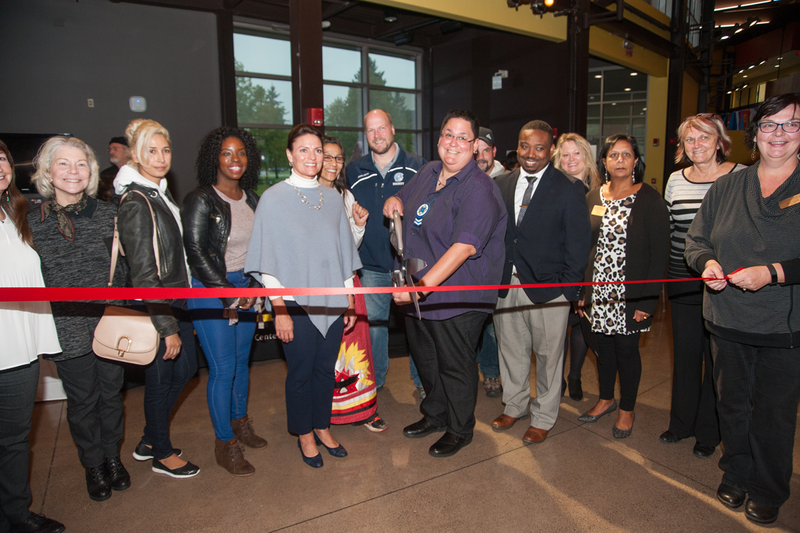 On Monday, October 8th, our Ambassadors joined the University of Wisconsin Superior to celebrate the dedication ceremony for the newly constructed Medicine Wheel and Community Gathering Area. The Medicine Wheel is a Native American symbol that embodies the four directions as well as symbols of health and the cycles of life. Located just outside of the Yellowjacket Union, benches and educational signage will be placed around the Medicine Wheel installation and existing Spirit Pole. This will create an inviting space for people to sit and reflect, find healing and guidance, or practice traditional ways of prayer and offering. 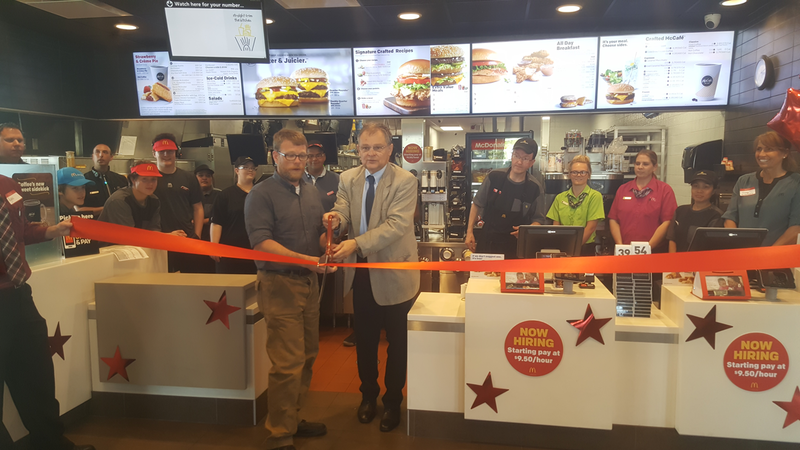 Congratulations to the University of Wisconsin-Superior on this wonderful addition to campus! Click here for more photos. 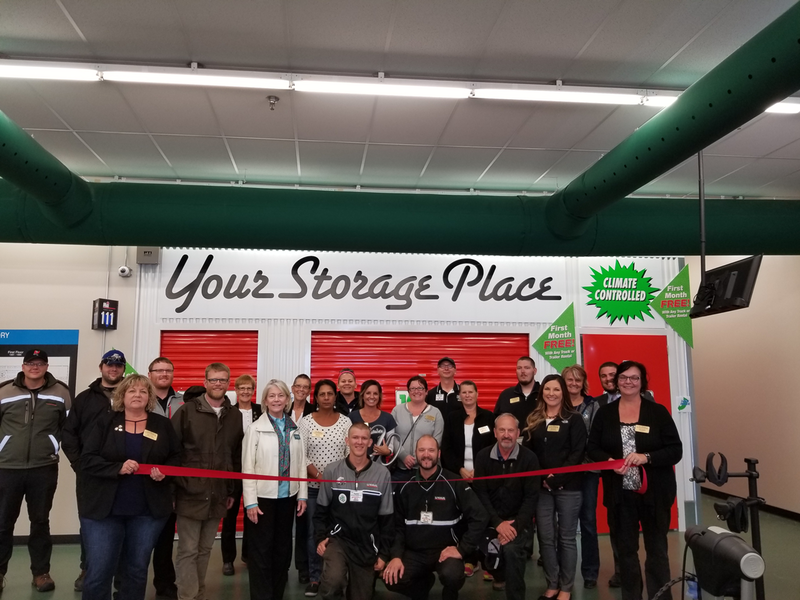 The Superior-Douglas County Area Chamber Ambassadors were joined by Senator Janet Bewley and Mayor Jim Paine for the ribbon cutting at the Open House and Grand Opening celebration for the U-Haul Moving & Storage of Superior! 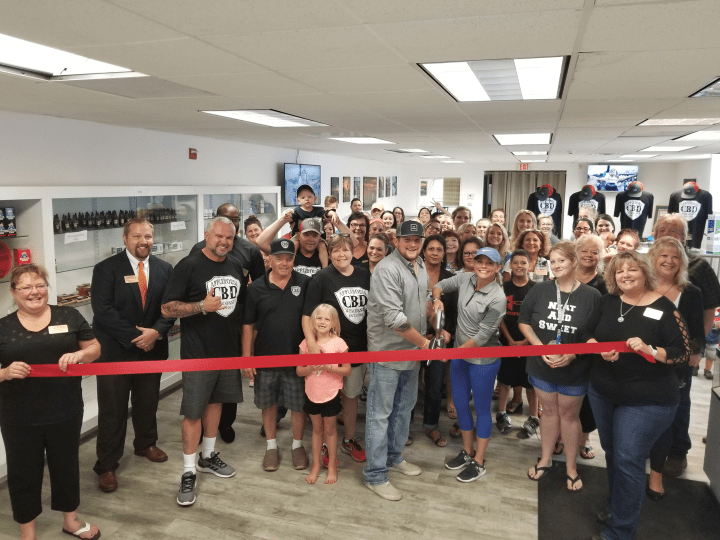 Located at 3015 Tower Avenue, U-Haul completely renovated and re-purposed the space to include 734 indoor, climate-controlled storage units, with two garage bays so customers can load and unload their stored items out of the elements. 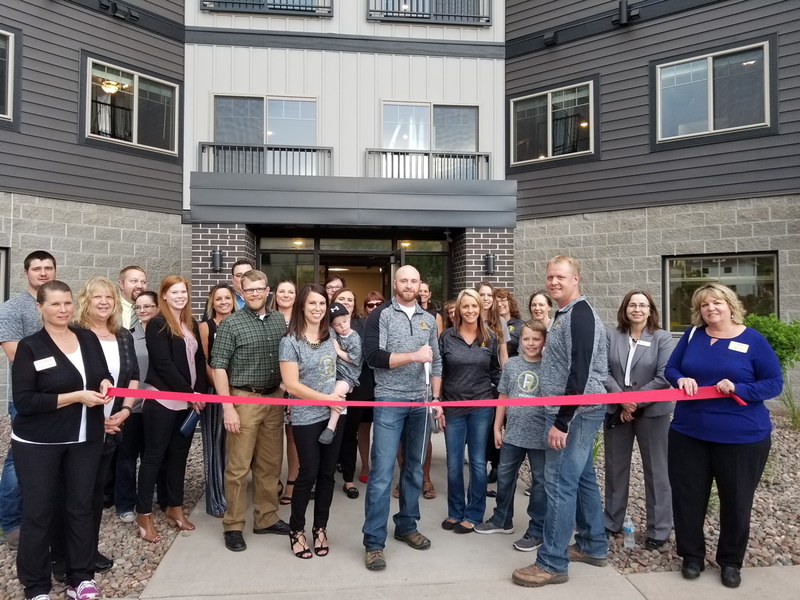 The space also includes a retail center where customers can buy packing materials, rent items like furniture pads and bike racks, and so much more. Customers are also able to rent moving trucks of various sizes. 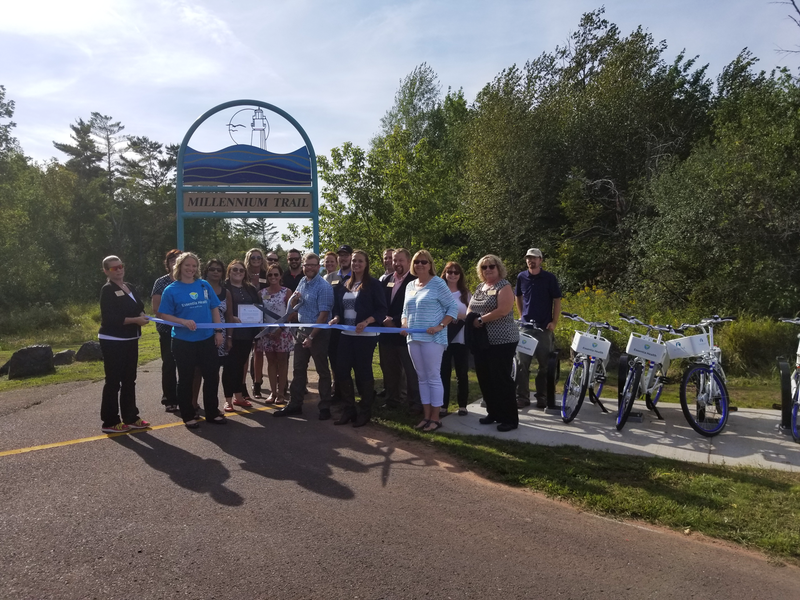 The Superior-Douglas County Chamber Ambassadors joined the City of Superior to celebrate the launch of the Zagster Bike Share Program, Tuesday, September 11, 2018. Part of a two-year partnership with Essentia Health, Enbridge, Dairyland Power Cooperative, and Minnesota Power, Zagster is a bike-share program designed to encourage biking throughout the city. The bikes are available at four stations around Superior with the stations located at Barker's Island, UW-Superior Campus, Center City Park, and the Millennium Trail Head off 28th street. Residents and tourists alike can use an app to pay-as-you-go with an hourly rate ($1 for 30 minutes) or purchase a year-long subscription ($30 for the year). 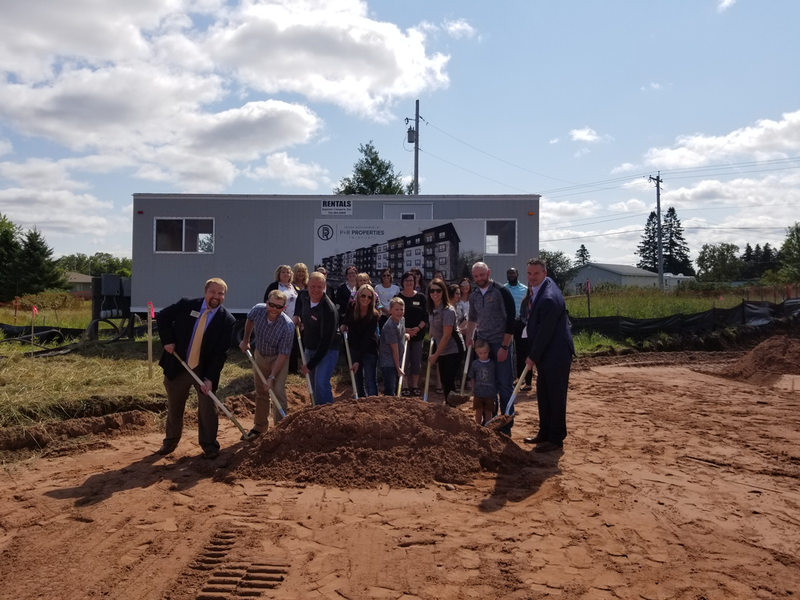 Congratulations City of Superior, Essentia Health, Enbridge, Dairyland Power, and Minnesota Power for continuing to enhance recreation opportunities in Superior! 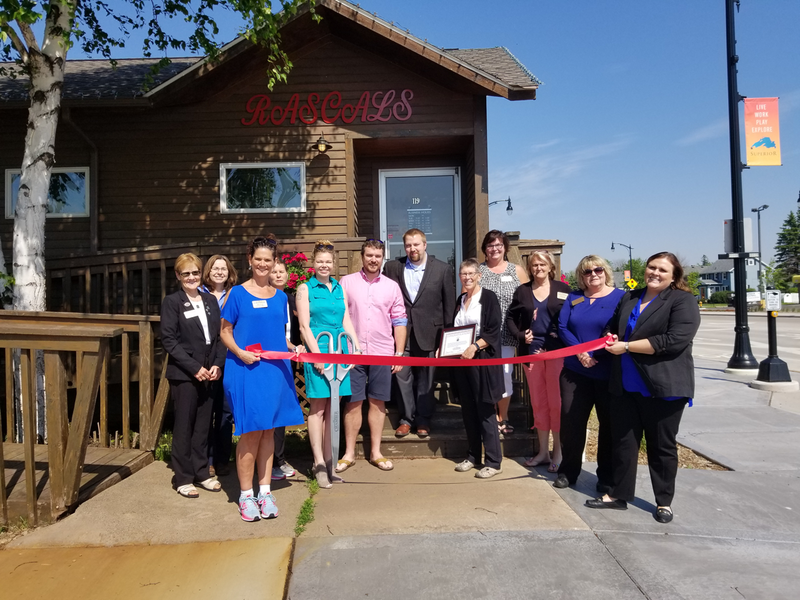 On Monday, June 18, 2018 the Superior-Douglas County Area Chamber Ambassadors celebrated with Rascal's Professional Pet Grooming for their grand opening at their Belknap Street location with a ribbon cutting! 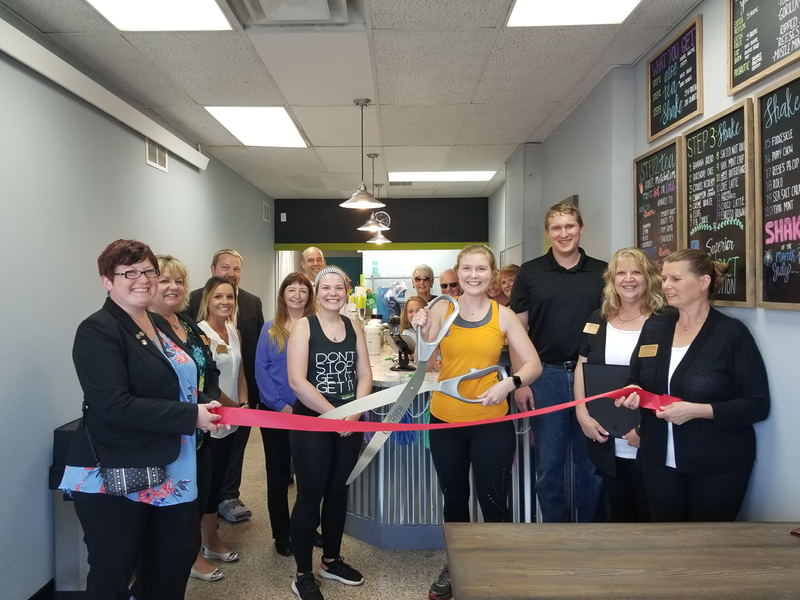 Rascal's celebrated with an open house Saturday, June 16 where everyone was invited to come and tour the building, enjoy 15% off all retail items, use the self-bathing stations for free, with furry friends receiving a goodie bag with a chance for prizes. Rascal's offers grooming services for dogs and cats with special walk-in services and a self-bathing station. Stop in and schedule an appointment today! Click here for more photos. The Superior-Douglas County Ambassadors joined Walmart Superior to celebrate their grand re-opening and launch of their grocery pick-up and new in-store tower pick-up option Friday, April 20, 2018. The store, which recently went through a twelve week $2.1 million remodel, now allows customers to order items and groceries online to be picked up in-store at the new orange tower or have your grocery items brought and loaded into your own car. Walmart opened in Superior in 1991 with the current location's super-center opening its doors in 2005. The associates who assisted in the ribbon cutting have been employees of Walmart Superior for 20+ years. The day's events included a presentation of colors by the Richard I. Bong American Legion Post #435, the national anthem sung by the choir at the Superior High School, and a donation of $500 to both CASDA and Harbor House Crisis Shelter, A ministry of Faith United Methodist Church!